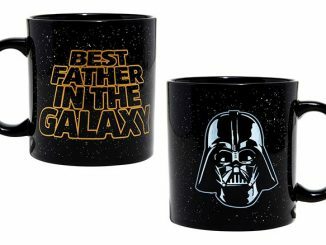 If “Father” sounds a bit too formal, you might want to get this Darth Vader Best Dad In The Galaxy Mug as a Father’s Day gift instead of the Best Father In The Galaxy Mug. 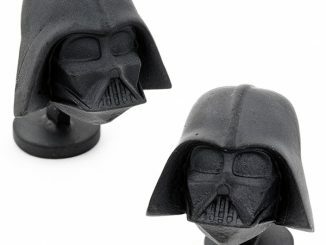 Like that one, this is officially licensed Star Wars merchandise and made of ceramic. 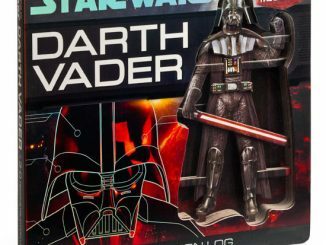 It reads “BEST DAD in the GALAXY” with the letter A in DAD formed out of the silhouette of Darth Vader with his cape spread. 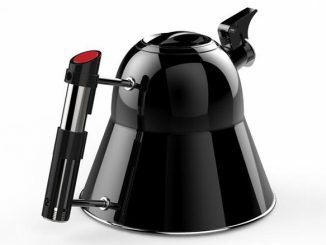 He is your father and he deserves some caffeine for dealing with you. 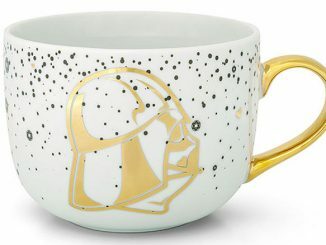 Get him this mug from Star Wars! 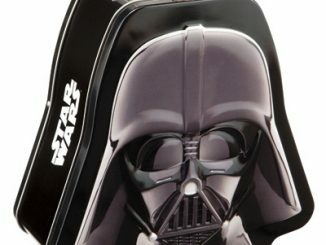 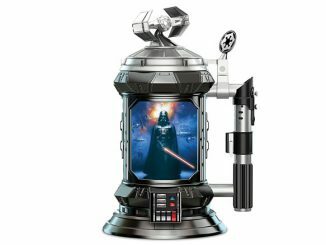 The black ceramic mug has a “Best dad in the galaxy” text design with an image of Darth Vader. 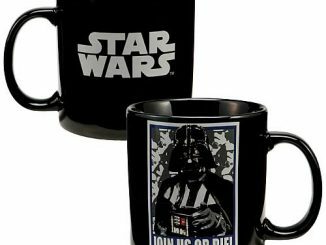 This black Star Wars mug conveys its Darth Vader appreciation with the words “BEST DAD IN THE GALAXY” surrounded by stars streaking infinitely through a Hyperspace tunnel. 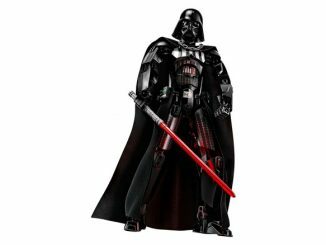 Oh, and the “A” in “DAD” is shaped by the caped silhouette of Darth Vader. 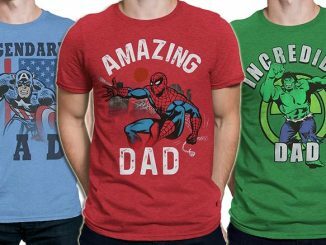 Clever, eh? 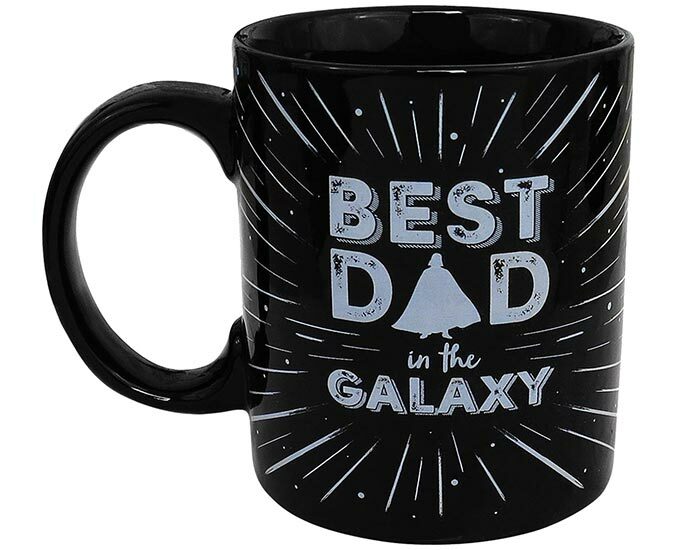 Buy the Best Dad In The Galaxy Mug for $8.72 (on sale for 20% off regular $10.90 price) at Hot Topic. 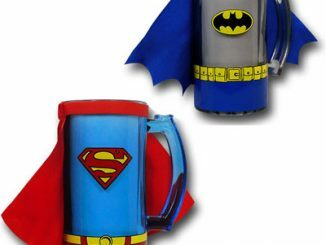 It’s also available at SuperHeroStuff. 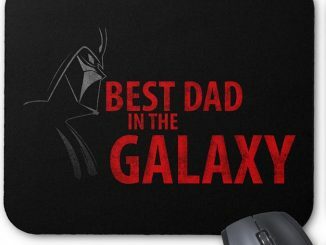 Also consider the Best Dad In The Galaxy Mouse Pad or the Marvel Superhero Dad T-Shirts.